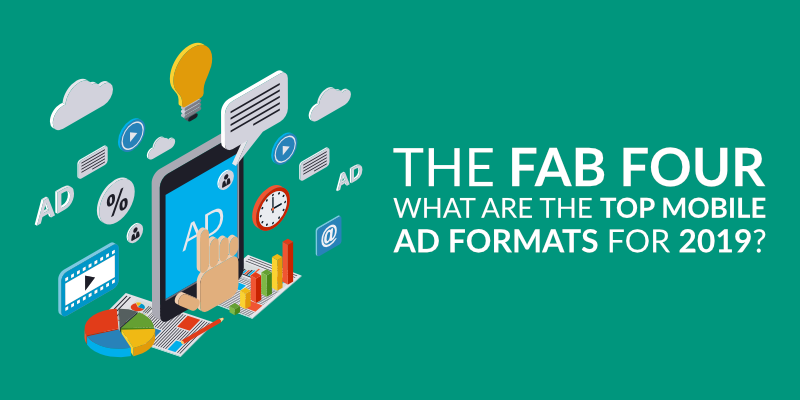 The Fab Four: What Are the Top Mobile Ad Formats for 2019? The mobile app landscape is a young but extremely vibrant space to play in. You’ve probably seen the stats and heard all about the numbers – but it’s worth reinforcing just how big a deal this industry is. By 2020, it’s expected to generate around $189 billion in revenue via app stores and in-app advertising. And, as of Q3 2018, users have been spoilt for choice, with 2.1 million apps available for Android and almost 2 million for iOS. This marketplace is moving quickly, and so is the development of the ads being used to promote its products. As an app marketer, how do you know which formats to use in 2019? What works best for your strategy, vertical or budget? If you’ve been researching the latest and greatest ad formats, you will have noticed the buzz around playables and interactive ads – and for good reason. 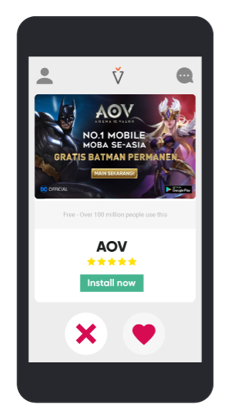 These allow users to interact with promotional content through promotional games and at Glispa, we’re seeing these ads increase user engagement by 60%, and in terms of preferred formats, are second only to rewarded video. We’ve found that click-through rates (CTR) are better, with interactive ads driving up to 4x higher conversion rates than static interstitials. Industry players are getting giddy about this format because it has huge potential to significantly increase the lifetime value (LTV) of consumers – developers know users who download their app are doing so because they have tried some of its features and are interested in what it has to offer. Playables and interactive ads can also provide a lot of valuable data that can be leveraged to optimize the app itself. In this case, A/B testing is often used to identify user preferences, which supports app and ad optimization. The uptake of this format is yet to really boom, but as users continue to be turned off by intrusive ads and the tech challenges are overcome, we’ll see that change. Right now, the format is undoubtedly at its best for casual gaming apps and you’ll see particularly strong results when running campaigns on other gaming apps. Within the non-gaming sector, things are a little trickier so getting creative is key. For ecommerce, marketers can use things like short quizzes or puzzles to provide discount offers and for travel, simple guessing games for exotic destinations work well. In close second, we have video. While this format isn’t as new as our number 1 spot, this year it will remain fundamental to any effective mobile marketing strategy. By 2021, brand advertisers in the US are estimated to spend a whopping $10.8 billion on video ads (which is a 50% increase over 2018). Interstitial videos are great at capturing users’ attention at natural and crucial points of an app’s flow, for instance between browsing pages or during a break between gaming levels. Timing really is everything here. The last thing you want to do is annoy users during key moments, like when they first open an app. If you properly invest in developing an amazing ad for interstitial, it can result in a seriously high number of impressions and conversions. Taking over the whole smartphone screen allows for clear calls to action (CTAs) and more room for creative content and engaging material that excites users. Rewarded video is more expensive than interstitial but return on investment (ROI) and CTR rates can be much higher. These types of ads are an ideal choice when implemented with strong creative and end cards. They deliver a positive user experience as they’re not overly disruptive – users are able to opt in and receive a benefit after viewing the ad, such as in-app prizes or discounts. They also encourage non-paying users to make purchases as consumers get a glimpse of the premium features they’re missing out on. If you’re in the gaming app business, then both video types will work wonders – especially when users are stuck on a certain level. You can use videos to show them how to get passed it or tease them with what happens next if they continue playing. In a non-gaming context, the format is perfect for complex apps. Take finance, where an explanation or “how to” video for a complicated feature will help users easily understand what needs to be done. How can you advertise in-app and avoid killing user experience? Easy, use native ads. 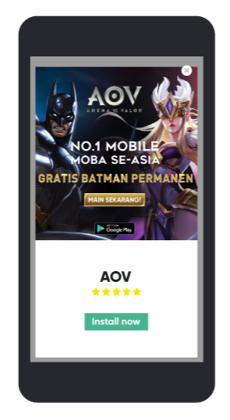 This format mimics the look and feel of an app and its infrastructure, allowing users to browse content while viewing an ad. Unlike traditional banners, natives don’t take up a specific part of the screen and are placed where it’s relevant for the user. This means people are more likely to see the ad as “new information” and part of the natural flow of the app, which often results in higher CTR rates. This format is red hot and we’ve seen it across multiple verticals. While paying for native ads is another step in the marketing funnel, many companies have realized that when reading a blog, people are much more likely to click on articles as opposed to banner ads. Are users on a tech app reading about computers? Advertise products they might be interested in and point them to an app where they can be bought. What about a sports or entertainment app? Weave in an ad about where to watch an upcoming event. Ahh, the good ol’ banner. While we’ve placed this at the bottom of our list, it can be useful when other formats have been completely exhausted or if you’re on a tight budget (which is sometimes the case for small to medium sized companies). You don’t need to spend much on creative and you’re able to order them in low quantities. Also, they’re supported by a lot of publishers, so they still have a pretty big reach. Banners can be used for any industry and even though they are no longer as effective for CTR – in terms of branding and visibility, they have a part to play and can be a worthwhile investment. Finding the best combination of ad formats for your apps is a challenge. The days when mobile banners ruled the world are over and now, there isn’t one single model that will guarantee success every time. Staying up-to-date with what’s out there is essential, but later down the road you’ll need a partner with the right tech and expertise to implement effective cross-channel solutions. Author Bio: Mark is the Senior Content Marketing Manager at Glispa – a leading ad tech company. With an educational background in Journalism and expertise across both internal and external communications, Mark is devoted to ensuring Glispa is a leading voice within the mobile industry.